The foremost reason to visit North Myrtle Beach, SC is the beach! The powdery white sand is so inviting and the wide stretch of beachfront at low tide beckons you outdoors to play in the sunshine. There are two swimming pools at this popular resort. One of the swimming pools at this resort is covered and has an adjacent hot tub. The other bright blue swimming pool is on the oceanfront so your family will have fantastic oceanfront views while swimming in the pool and lounging poolside. With this amenity at your fingertips, your will enjoy easy beach access during your North Myrtle Beach vacation at Beachwalk Villas. This nine-story North Myrtle Beach resort is in the Cherry Grove section of North Myrtle Beach, South Carolina. This North Myrtle Beach resort also has a game room and an exercise room for your enjoyment. 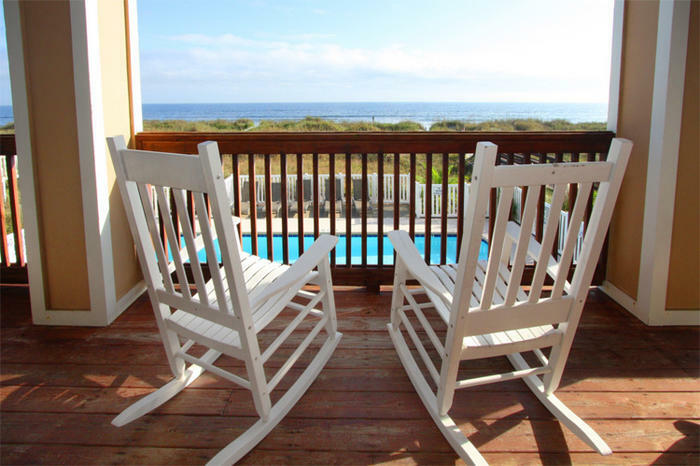 Take advantage of these on-site facilities during your North Myrtle Beach vacation. Play some air hockey or Foosball when you want to recreate and use the machines to get in some strength training and stretching before baring those legs on the beachfront at Beachwalk Villas. Cherry Grove is a nice area of town that is most famous for its fishing pier and for having salt marsh channels sprinkled between the residential streets. At the northernmost end of Cherry Grove is an inlet where fishing is spectacular. And on the west side of much of Cherry Grove is a salt marsh where the sunset views are gorgeous. It is a tranquil scene in Cherry Grove, even with all of the excitement that the Cherry Grove Fishing Pier provides. Beachwalk Villas is about halfway up North Ocean Boulevard between Sea Mountain Highway, the main roadway to Cherry Grove, and the salt marsh inlet. Easy to find, this North Myrtle Beach resort has plenty of parking because there is a five-story parking garage beneath these North Myrtle Beach condominiums. What a convenient design of which you will take advantage during your North Myrtle Beach vacation.